Talk with your prescribing physician to see if the generic Lamotrigine Starter Kit is right for you. For What Conditions is Lamotrigine Indicated? Epilepsy—monotherapy in patients aged 16 years and older: Conversion to monotherapy in patients with partial-onset seizures who are receiving treatment with carbamazepine, phenytoin, phenobarbital, primidone, or valproate as the single AED. Bipolar disorder: Maintenance treatment of bipolar I disorder to delay the time to occurrence of mood episodes in patients treated for acute mood episodes with standard therapy. What are generic and branded generic products? Generic products are just like brand-name products in that they are therapeutically equivalent but tend to have a lower price than the brand-name drug. Branded generic products are generically priced, therapeutically equivalent medications that happen to have both a brand and generic name. 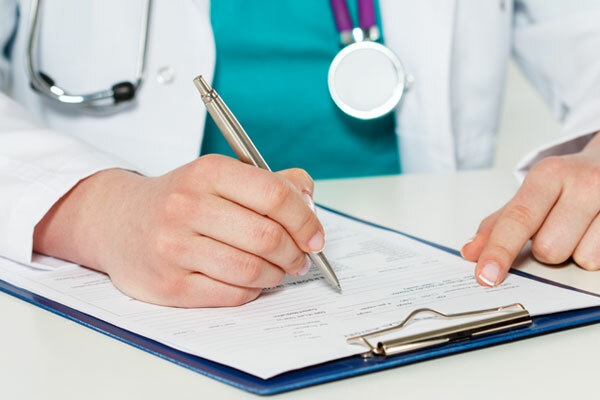 Unlike other generics, branded generics have a brand name which allows patients and physicians to request the specific generic product by brand name. 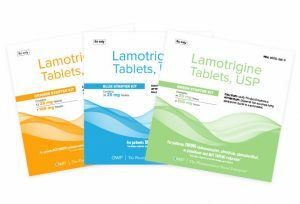 Lamotrigine Starter Kits are OWP Pharmaceuticals’ generic alternative to Lamictal® (lamotrigine) tablet Starter Kits. * Your physician should always write DAW-1 (Dispense As Written — or appropriate language required by your state) to ensure that your prescription is not substituted for another Starter Kit. Writing Lamotrigine Starter Kit DAW-1 ensures you will receive OWP’s Starter Kit. Discuss with your doctor what options are best for you. Make sure your Lamotrigine Starter Kit matches the prescription you received from your doctor. If you and your physician decide that the Lamotrigine Starter Kit is right for you, go to any local pharmacy to fill your prescription. You may also call 800-273-6729 for assistance in finding a pharmacy to fill your prescription. To ensure you receive the medication you and your doctor discussed, make sure your prescription is marked “DAW-1” (Dispense as Written — or the appropriate language required by your state). This instructs the pharmacy to fill the exact Starter Kit on the prescription. If the medication label does not match your prescription, speak to the pharmacist about receiving the correct medication. You can ask your pharmacist to note in your chart not to substitute your prescription without you and your physician’s consent. This helps ensure that you receive the drug you were prescribed, instead of receiving another generic substitute. If you have difficulties filling your Lamotrigine Starter Kit prescription at your local pharmacy, please contact your prescribing physician’s office or OWP Pharmaceuticals for assistance at 1-800-273-6729. Make sure your physician writes DAW-1 on your initial prescription. 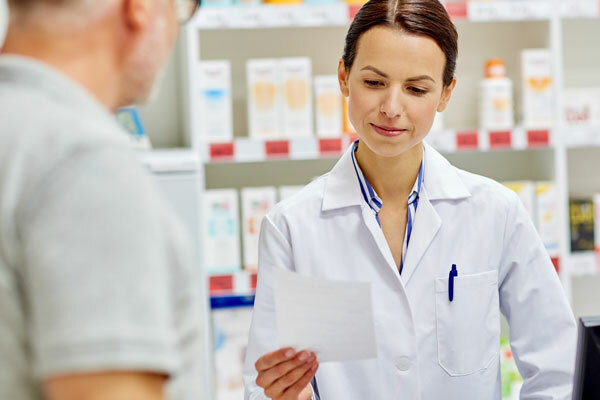 If your pharmacist attempts to substitute your Lamotrigine Starter Kit prescription for a vial of tablets, make sure they contact your physician’s office to explain why before filling your prescription. Know that you have the right to choose either generic, branded generic, or brand name medications. *Lamictal® is a registered trademark of GlaxoSmithKline, Inc.
Benign rashes are also caused by lamotrigine; however, it is not possible to predict which rashes will prove to be serious or life threatening. Lamotrigine should be discontinued at the first sign of rash, unless the rash is clearly not drug related. Discontinuation of treatment may not prevent a rash from becoming life threatening or permanently disabling or disfiguring. Please refer to the full Prescribing Information for lamotrigine tablets, USP for the complete boxed warning. Lamotrigine is contraindicated in patients who have demonstrated hypersensitivity to the drug or its ingredients. Cases of life‐threatening serious rashes, including Stevens‐Johnson syndrome, toxic epidermal necrolysis, and/or rash‐related death, have been caused by lamotrigine. The rate of serious rash is greater in pediatric patients than in adults. Refer to lamotrigine – BOXED WARNING. Lamotrigine should not be abruptly discontinued. In patients with epilepsy there is a possibility of increasing seizure frequency. Unless safety concerns require a more rapid withdrawal, the dose of lamotrigine should be tapered over a period of at least 2 weeks. Refer to lamotrigine – DOSAGE AND ADMINISTRATION. Hemophagocytic lymphohistiocytosis (HLH) has occurred in adult and pediatric patients taking lamotrigine. HLH is a life-threatening syndrome of pathologic immune activation characterized by clinical signs and symptoms of extreme systemic fibrosis. It is associated with high mortality rates if not recognized early and treated. HLH has presented with systemic inflammation (fever, rash, hepatosplenomegaly, and organ system dysfunction) and blood dyscrasias. Symptoms have been reported to occur within 8 to 24 days following the initiation of treatment. Patients who develop early manifestations of pathologic immune activation should be evaluated immediately, and a diagnosis of HLH should be considered. Multiorgan hypersensitivity reactions, also known as Drug Reaction with Eosinophilia and Systemic Symptoms (DRESS), have occurred with lamotrigine. Some have been fatal or life threatening. DRESS typically, although not exclusively, presents with fever, rash, and/or lymphadenopathy in association with other organ system involvement, such as hepatitis, nephritis, hematologic abnormalities, myocarditis, or myositis, sometimes resembling an acute viral infection. Eosinophilia is often present. This disorder is variable in its expression, and other organ systems not noted here may be involved. Fatalities associated with acute multiorgan failure and various degrees of hepatic failure have been reported. Prior to initiation of treatment with lamotrigine, the patient should be instructed that a rash or other signs or symptoms of hypersensitivity (e.g., fever, lymphadenopathy) may herald a serious medical event and that the patient should report any such occurrence to a healthcare provider immediately. There have been reports of blood dyscrasias that may or may not be associated with multiorgan hypersensitivity (also known as DRESS). These have included neutropenia, leukopenia, anemia, thrombocytopenia, pancytopenia, and, rarely, aplastic anemia and pure red cell aplasia. Antiepileptic drugs (AEDs), including lamotrigine, increase the risk of suicidal thoughts or behavior in patients taking these drugs for any indication. Patients treated with any AED for any indication should be monitored for the emergence or worsening of depression, suicidal thoughts or behavior, and/or any unusual changes in mood or behavior. Anyone prescribing lamotrigine must balance the risk of suicidal thoughts or behavior with the risk of untreated illness. Epilepsy and many other illnesses for which AEDs are prescribed are themselves associated with morbidity and mortality and an increased risk of suicidal thoughts and behavior. Should suicidal thoughts and behavior emerge during treatment with lamotrigine, the prescriber needs to consider whether the emergence of these symptoms in any given patient may be related to the illness being treated. Patients, their caregivers, and families should be informed that AEDs increase the risk of suicidal thoughts and behavior and should be advised of the need to be alert for the emergence or worsening of the signs and symptoms of depression, any unusual changes in mood or behavior, the emergence of suicidal thoughts, behavior, or thoughts about self‐harm. Behaviors of concern should be reported immediately to healthcare providers. Medication errors involving lamotrigine have occurred. In particular, the name Lamotrigine or lamotrigine can be confused with the names of other commonly used medications. Medication errors may also occur between the different formulations of lamotrigine. Some estrogen‐containing oral contraceptives have been shown to decrease serum concentrations of lamotrigine. Dosage adjustments will be necessary in most patients who start or stop estrogen‐containing oral contraceptives while taking lamotrigine. Valid estimates of the incidence of treatment‐emergent status epilepticus among patients treated with lamotrigine are difficult to obtain because reporters participating in clinical trials did not all employ identical rules for identifying cases. At a minimum, 7 of 2,343 adult patients had episodes that could unequivocally be described as status epilepticus. In addition, a number of reports of variably defined episodes of seizure exacerbation (e.g., seizure clusters, seizure flurries) were made. During the premarketing development of lamotrigine, 20 sudden and unexplained deaths were recorded among a cohort of 4,700 patients with epilepsy (5,747 patient‐years of exposure). Because valproate reduces the clearance of lamotrigine, the dosage of lamotrigine in the presence of valproate is less than half of that required in its absence. Because lamotrigine binds to melanin, it could accumulate in melanin‐rich tissues over time. This raises the possibility that lamotrigine may cause toxicity in these tissues after extended use. Although there are no specific recommendations for periodic ophthalmological monitoring, prescribers should be aware of the possibility of long‐term ophthalmologic effects. There have been reports of decreased lamotrigine concentrations during pregnancy and restoration of pre‐partum concentrations after delivery. As with other AEDs, physiological changes during pregnancy may affect lamotrigine concentrations and/or therapeutic effect. Dosage adjustments may be necessary to maintain clinical response. Lamotrigine is present in milk from lactating women taking lamotrigine. Caution should be exercised when lamotrigine is administered to a nursing woman. Safety and efficacy of lamotrigine used as adjunctive treatment for partial-onset seizures in very young pediatric patients (aged 1 to 24 months) has not demonstrated. Safety and efficacy of lamotrigine for the maintenance treatment of bipolar disorder in pediatric patients has not been demonstrated. Because lamotrigine is metabolized predominantly by glucuronic acid conjugation, drugs that are known to induce or inhibit glucuronidation may affect the apparent clearance of lamotrigine and doses of lamotrigine may require adjustment based on clinical response. Refer to the lamotrigine ‐ DOSAGE AND ADMINISTRATION section of the full prescribing information for recommended dosing guidelines for lamotrigine. There are a number of significant drug interactions with lamotrigine. Refer to the lamotrigine ‐ DRUG INTERACTIONS section of the full prescribing information. See the ADVERSE REACTIONS section of the lamotrigine full prescribing information for adverse reaction rates from clinical trials conducted under widely varying conditions. The most common adverse reactions (incidence ≥5%) in adult epilepsy clinical studies were dizziness, ataxia, somnolence, headache, diplopia, blurred vision, nausea, vomiting, and rash. The most commonly observed adverse reactions (incidence ≥5%) reported in the use of lamotrigine as adjunctive treatment in children in epilepsy clinical studies included vomiting, infection, rash, fever, somnolence, accidental injury, dizziness, abdominal pain, diarrhea, nausea, ataxia, asthenia, bronchitis, flu syndrome, diplopia, and tremor. The most common adverse reactions (incidence >5%) in adult bipolar clinical studies were nausea, insomnia, somnolence, back pain, fatigue, rash, rhinitis, abdominal pain, and xerostomia. To report SUSPECTED ADVERSE REACTIONS, contact OWP Pharmaceuticals Inc. at 1-800-273-6729 or FDA at 1-800-FDA-1088 or www.fda.gov/medwatch. Please refer to the full Prescribing Information for Lamotrigine Tablets, including Medication Guide. Before you fill your prescription, make sure your pharmacy has the generic Lamotrigine Starter Kit in stock. If not, you can request it. The Savings Card can only be used for the generic Lamotrigine Starter Kit. © 2019 OWP Pharmaceuticals, Inc. Naperville, IL 60563. All rights reserved. Developed in USA.